oldenburgacademy | Opportunities Await…Every Student, Every Day! Opportunities Await…Every Student, Every Day! On my way home home from school one day, I was looking out the window and thinking about my plans for the future; college in particular. It brought me back to thinking about Oldenburg. As a senior, I sometimes feel ready to go off and start a new chapter in my life, but am I really? These past four years, Oldenburg has been like a home away from home for me, not only because I spend so much time there, but also because of the people and the environment. It’s so nice to walk around know who everyone is, and know that you are cared about as an individual. I have become so close to my classmates, the people I barely knew just a few years ago, and I have realized that saying goodbye will be harder than I can imagine. So maybe I’m not ready to leave Oldenburg, but when I am, I don’t think I will ever really leave this place behind. All the memories I have made and the people I have met will always be close to my heart. It’s a place you just can’t forget. So in the end, I have learned to cherish every moment I have here because they are slowly running out. Students walk back and forth on campus. As a international exchange student from China, this is my third year at Oldenburg Academy. When I came to OA, it let me have many new experiences and many good memories. When the first time came to OA , I was little scared. But after a while I felt more self-confidence. 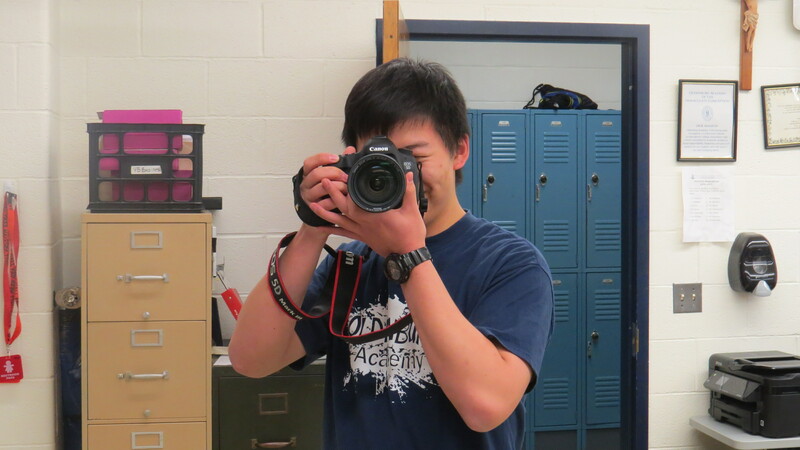 At OA, there are more opportunities to could let use my hobby — photography. I like taking pictures. I went to many events, that help me know better about the culture. In each school year, there are many events, each event is not identical. When the event is done, many things will gone with it, people will forgot what happened. So, I use my camera to record it, use pictures to keep memories. When our classmates look back to the photos, they can recall what was happened. When they are sad, they look back to the pictures in the yearbook, it might trigger some of their good memories back to high school make them feel better. When they get older, look back to the photos in yearbook, they can told many stories happened in high school to their grandchildren. Pictures always could trigger memories, back for many days. I will keep doing this—taking photos, record, keep memories. cry together. We do all the things a family does because at OA friends are family. When I first came to OA I had no idea that I would gain such great relationships. It’s already been over a month since the start of school, and school is already in full swing! 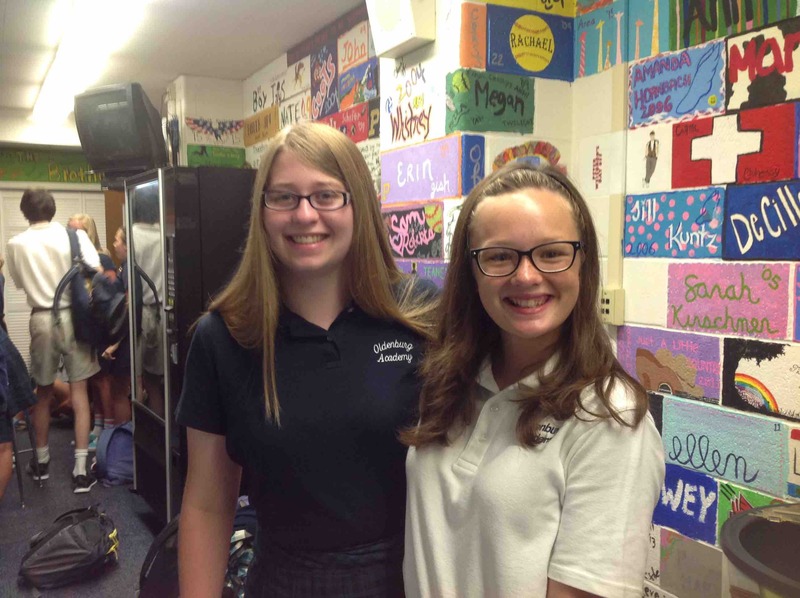 Students have immersed themselves in fall sports, different clubs, and of course, homework! Recently, OA has been buzzing with news of Freshman Welcome Week. This tradition here at OA is when a senior partners with a freshman for two weeks. The first week, they write letters to each other, the senior not revealing who he/she is. The second week (this week) is when the seniors reveal who they are to their respective freshman over breakfast at school. All the rest of the week, the seniors and freshman will get to have look-like-day and spirit day! It has been an awesome experience getting to know my freshman and writing her letters! I feel like these two weeks really emphasize and showcase exactly what OA is all about: supporting each other through our close-knit family bond. Also, last Thursday, the freshman had their first retreat as part of the OA family! 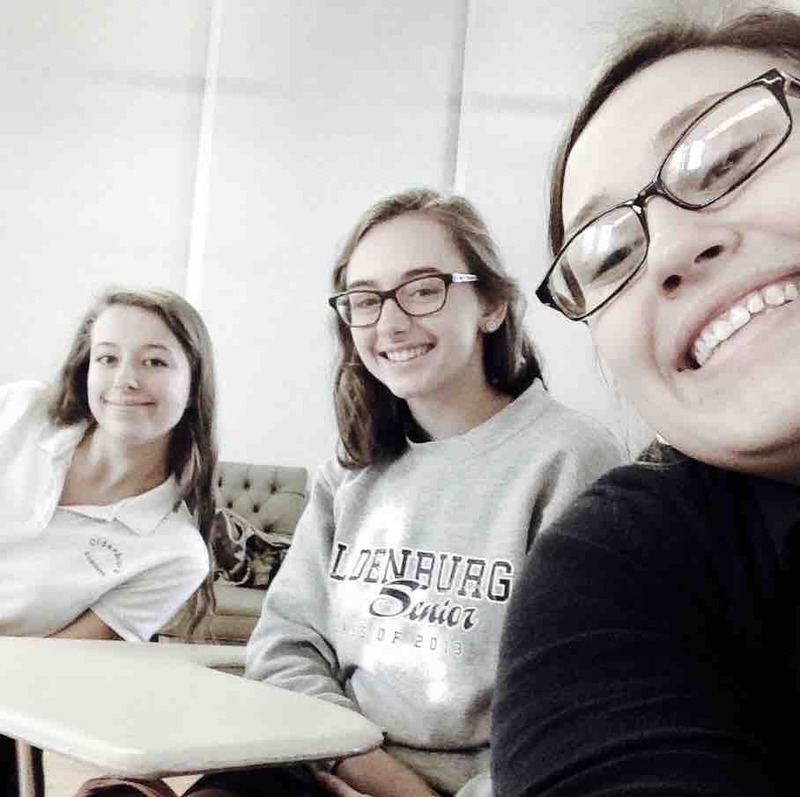 They shared a day of prayer and listened to excellent talks given by a couple of upperclassmen. One freshman commented, “It was a good bonding experience for all of us. We didn’t really know each other before now.” This week also marks the beginning of Adopt-A-Sis, a wonderful program that gives the students the opportunity to eat lunch with one of the Sisters. I absolutely love being part of this program! I get to learn so much from my Sister, and I always look forward to being able to share part of my day with my Sister! 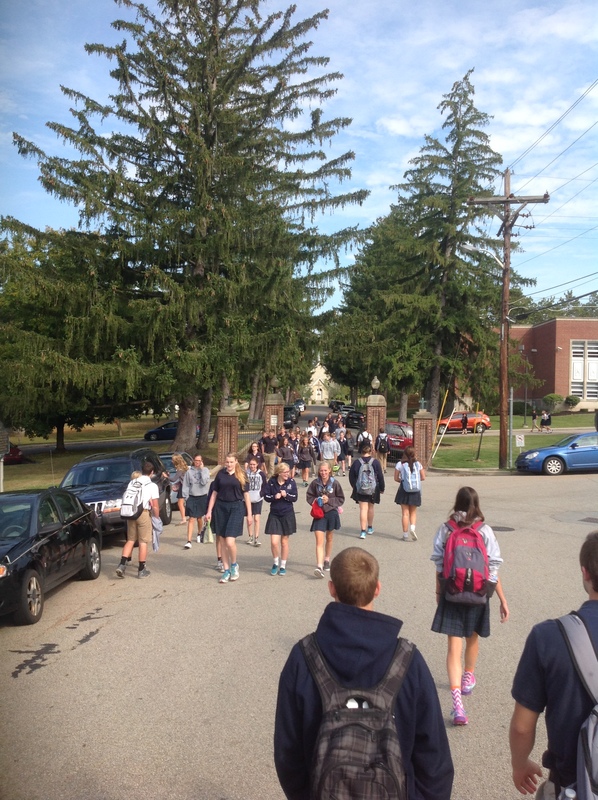 With all of these activities going on after only a month of school, OA is a very busy place! And I love that about OA; there’s always some way for me to get involved in my school community. I never feel alone when I’m with my OA family! My freshman and I enjoyed chatting with each other today over breakfast! Passes flying. Pads popping. Fans cheering. 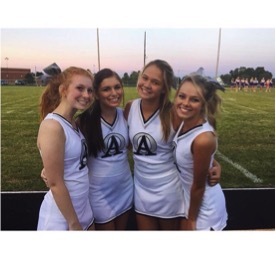 This is a few things a person may have seen or heard if they had attended the Oldenburg Academy against Covenant Christian football game on the night of August 28th. Oldenburg exploded like a ball of fire and took it right to Covenant Christian right out the gate. It was an impressive show of passing, running, and tackling. Both teams, lacking size and number, battled to the best of their abilities and proved to be worth adversaries to each worthy of each other’s respect. After a long bout, the Twisters of Oldenburg bested the Warriors of Covenant Christian. OA Football takes the field. ‘Tis the fall season and sports are in the air at Oldenburg Academy! It’s hard to believe that my senior year of volleyball is now beginning. The past three, long years of volleyball have produced an abundance of bruises, floor burns, and sweat not only for myself, but also for my fellow teammates—of course every ache and pain has been so worth it. I find a great amount of happiness being a part of such a close knit team where I always look forward to lacing up my volleyball shoes and pulling up my knee pads to spend the next two to three hours with my best friends. On and off the court, I have developed so many great relationships with so many amazing girls. Being part of such an amazing volleyball program makes it hard to anticipate the last time I will be able to step on the OA gym floor, stand for the national anthem, look to the spirited student section, listen for Mrs. Bergman to announce “let’s do the dance and change sides,” and finally, to play to the last whistle. 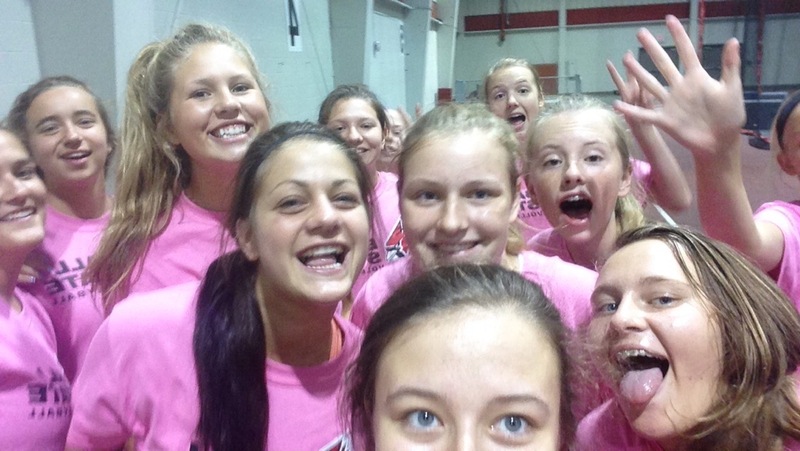 When I look back on my high school years, I know for sure that memories of team bonding, team dinners, long bus rides, player face-plants, and team camp festivities will always be highlights of my life. This experience, I am ever so grateful for. Win or lose, good or bad, I know my teammates will always be there for me, because at the end of the day, when the gym lights turn off and Coach Rogers finishes his speech, my teammates and I are more than just teammates, we are Twister Sisters. Many fans and parents were ecstatic due to the big kick off of the Friday night lights. Last Friday, August 21st, at six o’clock, I stepped off the twister mini bus and walked into the gates of Union County’s football track and field. Many of the cheerleaders had mixed feelings that consisted of excitement and nerves. We were helping each other by putting our bows in our hair and going over some last minute questions about different cheers. Around seven, the visitor side started to fill up with Oldenburg parents, siblings, and students. 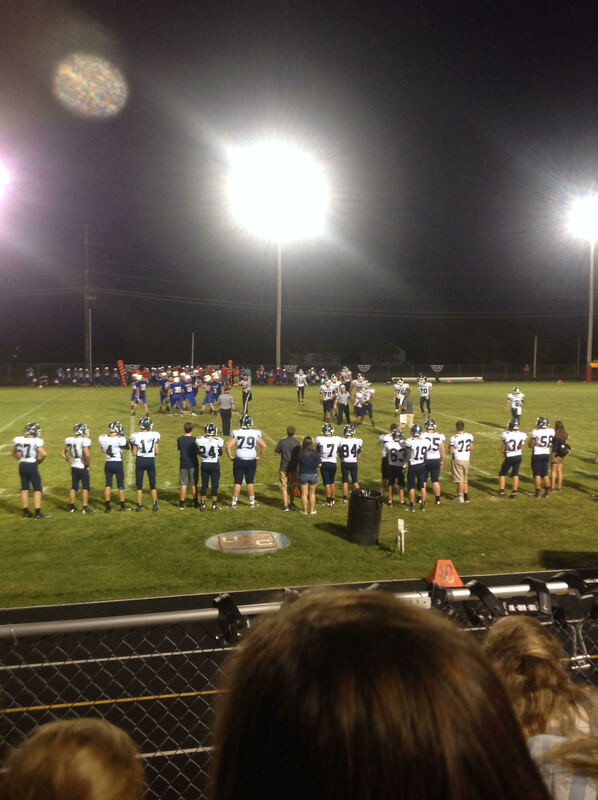 As the game started, we cheered on our team as they ran the ball, tackled and were tackled, and scored points. As the night progressed, it got chilly, and the boys kept fighting to try to win the game. Although we didn’t win our first game, the boys still did a great job. We made it a twister tradition to pass out baked goods to our players after every away game and so we did as they loaded onto the bus to head home. Three years ago, I didn’t think we would have ever thought we would come this far. As a brand new team, we have definitely improved and proved everyone wrong that thought it wasn’t possible and it’s all thanks to Coach Wes Gillman, who has helped the boys since day one. I am beyond grateful to be part of the first Oldenburg Academy Football Team and making history one game at a time.